Photo of Nico (cropped) via Des Filles Des Garçons. Illesteva sunglasses ($191); Boy. 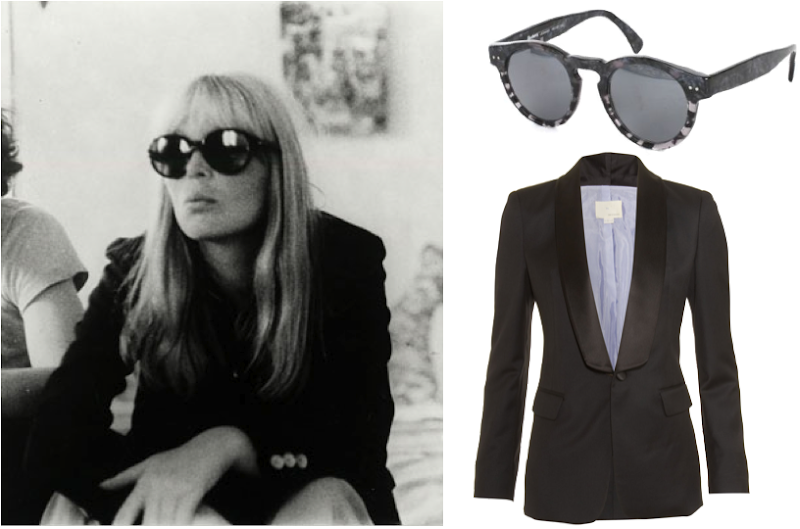 by Band of Outsiders shawl neck blazer ($995) or similar Madewell Chalkboard blazer ($168). Love this look - feels very of-the-moment. She is the apex of cool. Love this.